With the World Cup holding back Bollywood releases, and nothing decent coming out thereafter too (I safely passed the ThankYous and the Faltus! 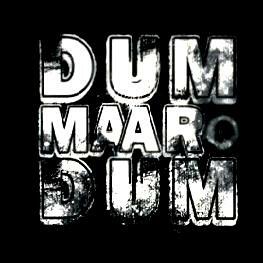 ), the storyline of Dum Maro Dum was tempting enough to go back to the cinema house after a long time. And I was glad that it turned out to be decent fare, after all. Rohan Sippy, the new gen Sippy, has been making reasonably good cinema, although nothing close to iconic status just yet. So I guess, he’d be among the good young directors of today, but not quite in the class of a Rakyesh Omprakash Mehra or a Raju Hirani or Farhan Akhtar. The story is set in Goa, in the backdrop of the drug mafia, international drug cartels operating there, and about how innocents have been getting trapped into becoming unwilling carriers! Abhishek playing the Inspector on special duty, with full powers to clean up Goa, off the drug menace, does a credible job. The film have a good pace. There are things happening all the time. Few characters are introduced, and their stories are told well. Assuming the story comes with good research, it tells a worrying tale of how Goa has been made into drug heaven, along with its sun and the sea, especially by foreigners. The music is very typically Pritam, and suits the story well. Bipasha Basu and Prateik have small roles, and they do good justice to those. Aditya Pancholi makes a come back as the bad man! And looks like the part! Abhishek finally has a good performance, and for his sake, I also hope the film does well. He needs that little bit of luck now! Rana Daggubati got more pre-release publicity for his Bipasha connection, and not as much for his acting. Just as well. He is okay. In a role where we could have seen him do a lot better, he does an okay job. Not perfectly convincing. And which brings me to Dum Maro Dum. The song. The item number performed by Deepika Padukone. Well, the late R D Burman does not need to feel threatened about his legacy (not that THAT could EVER happen!). For that matter, Asha Bhosale or Zeenat Aman also have little to worry. Dum Maro Dum will always till be about the original Hare Rama Hare Krishna! The song depicted here, does not measure up. When in a dance number of this kind, the camera has to shake a lot to give the desired effect, it is obvious that the actor is not able to do her part, and the camera has to come to the rescue. When shots are short, and there are more close ups, again, it is again only because she is NOT able to deliver long shots, and the camera finds it easier to show her face and body, rather than her dance moves. They used to do this for Sunny Deol too. Deepika Padukone seems to be belong to that same league. I guess, it was only for her glamour value, and in spite of not being such a good dancer, that they got her to do this dance, I suppose. And to that end, she might be just fine. But seriously, otherwise, the dance is nothing great. Kareena, Mallika, Katrina, Priyanka.. can all do a far better job of shaking their hips and moving their legs, and looking good doing so, than Deepika! All in all, Rohan Sippy has created a good film, and I would recommend that you see it. Are we really using the advantages that we have?